Salomon Glen Coe Skyline™ 2017, the UK’s most prestigious mountain running event and one of only three EXTREME rated Skyrunner® World Series races globally, has once again attracted a world-class field including the undisputed world number one, Kilian Jornet. Jornet, a Spanish trail runner and ski-mountaineer is considered the best endurance athlete on the planet. He has won the Ultra-Trail du Mont-Blanc three times, triumphed in the Skyrunner® World Series and holds the fastest known times for ascending and descending some of the world’s highest mountains including the Matterhorn, Mont Blanc and Denali. In 2014, he was named National Geographic adventurer of the year. Salomon Glen Coe Skyline™ is renowned for its technical, exposed, and rough terrain, and Jornet is known for his daredevil approach to exposed ridges; surely it’s a match made in heaven? He will almost certainly be considered the favourite at the event this September in the Scottish Highlands. Kilian said, “I have heard about Glen Coe since the first year Emelie run and she just said, “you must go there”. The technical ridges and the culture of mountain running in England really attracts me to run Glen Coe and I can’t wait to the moment of being here! However, many of the top 10 from 2016 will be returning to challenge Jornet, including the 2016 winner and EXTREME Skyrunner® World Series champion Jonathon Albon; 2015 British fellrunning champion Finlay Wild; and the world-class Glasgow based Tom Owens, who finished second in 2016. 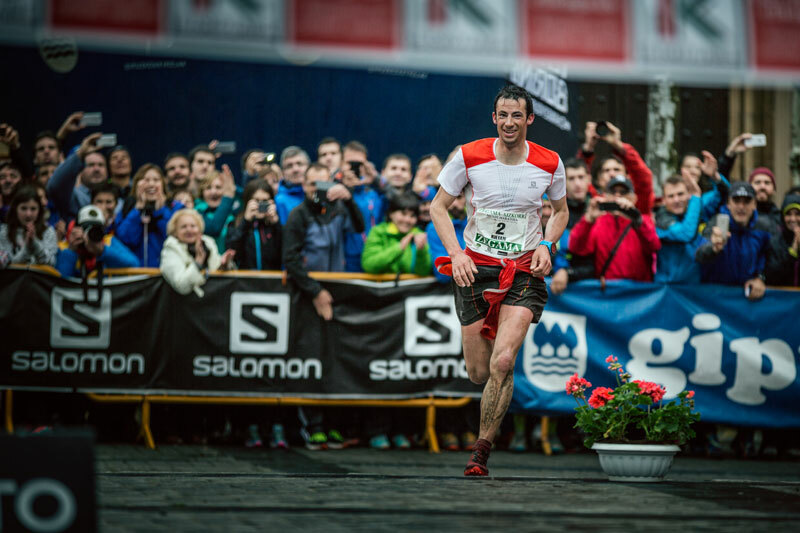 In addition to the International Skyrunning Federation Elite athletes, Salomon has invited the top 15 ranked men and women from the 2016 International Trail Running Association (ITRA) world rankings to compete at the Salomon Glen Coe Skyline™ and four other world-class races in 2017 that include the Maxi Race in Salomon’s hometown of Annecy, France; the Mont Blanc Marathon in Chamonix, France; the Swiss Alpine Marathon in Davos; and the Ultra Pireneu in Spain. All this means that the Salomon Glen Coe Skyline is going to be one of most competitive mountain races in the world in 2017, with both the leading male and female athletes competing for up to €42,000; €17,000 hangs on the individual results at the race, and a further €26,000 is available as the season prize pool for the EXTREME Skyrunner® World Series. As in 2016, the overall Champions of the EXTREME Skyrunner® World Series are expected to be decided in the mountains surrounding Glencoe. Skyrunning has a clean bill of health in terms of doping, but with the explosion of interest in these iconic events, and ever increasing prize money, nobody is taking its ‘clean’ status for granted. Salomon will be supporting an unprecedented anti-doping programme during the Salomon Skyline Scotland event, which includes a mixture of education and deterrent. There will be free-to-attend expert presentations about anti-doping regulations, the prize winners will be subject to mandatory testing, and there will be additional random testing throughout the entire field of participants. Whilst the world-class courses and a who’s who of elite mountain running will be an obvious draw, Ourea Events have confirmed that there will be plenty for spectators to do at the event, with live GPS tracking, commentary in the start/finish arena, and a supporting programme of lectures, SalomonTV screenings and How to Trail Run workshops in the days leading up to the race, allowing amateurs to receive advice from elite international athletes.